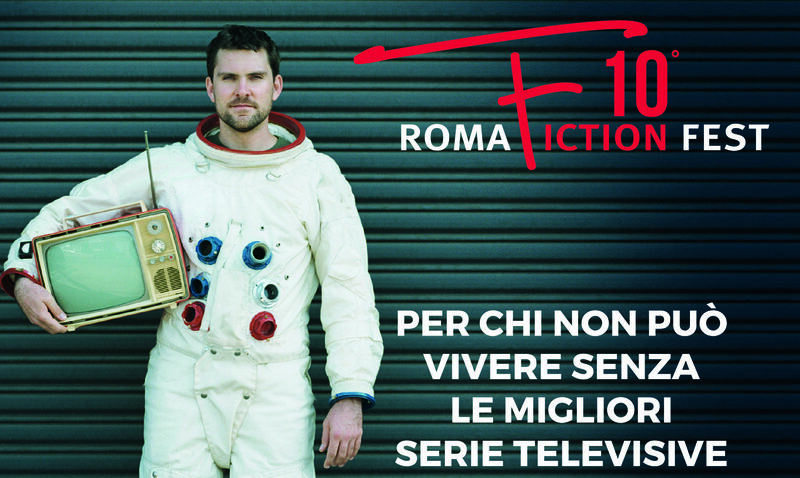 The tenth edition of the RomaFictionFest will run from December 7th to December 11th at The Space Cinema Moderno in Rome. The festival features an international competition, a section devoted to selected premieres out of competition, the Kids & Teens sections and the Sala Cult. The titles in the international competitive lineup will be judged by a jury presided over by Richard Dreyfuss and composed of members Annabel Scholey, Umberto Contarello, Lorenzo Richelmy, and Paola Turci. An essential part of the program is devoted to master classes and talks with writers, directors and actors. The Artistic Director for the 2016 RomaFictionFest is filmmaker Giuseppe Piccioni. The Selection Committee is composed of Gaia Tridente, Marco Spagnoli, Gianluca Giannelli, Fabia Bettini and Simone Raineri. This tenth edition of the RomaFictionFest, a brand of the Television Producers’ Association (APT), is produced by the Fondazione Cinema per Roma and promoted by the Lazio Region and the Rome Chamber of Commerce. Mazda is the Official Automobile and American Airlines is the Official Carrier. Sponsor of the event is Romeur Academy, with Acqua Filette, Ethimo and Affissioni APA as Technical Sponsors. The Fest’s Media Partners are Coming Soon, Tvzap and Movieplayer. Two Italian series will be opening and closing our tenth edition: In arte Nino will have an evening premiere on December 7th, while Immaturi – La serie will wrap up the 2016 RomaFictionFest on the 11th. Our two world premieres on the program are When We Rise, the ABC Studios miniseries written by Oscar®-winner Dustin Lance Black, about the history of the LGBT rights movement (Gus Van Sant directed the first two episodes), and Madiba, which looks at the life of Nelson Mandela and the Apartheid regime. Elio Germano, Stefano Fresi, Duccio Camerini, Luca Manfredi, Alessio Boni, Cristiana Capotondi, Alessandro Roja, Domenico Diele, Cristina Comencini, Riccardo Milani, Stefania Rocca, Emilio Solfrizzi, Filippo Nigro, Martina Stella, Giuliana De Sio, Fabio Troiano, Marco Giallini, Pierfrancesco Diliberto (PIF), Carlo Carlei, Luca Bizzarri e Paolo Kessisoglu, Paolo Genovese, Ilaria Spada, Irene Ferri, Ricky Menphis, Rolando Ravello, Sabrina Impacciatore, Nicole Grimaudo, Maurzio Mattioli, Ninni Bruschetta, Alessandro Sperduti, Annabel Scholey, Richard Dreyfuss, Lorenzo Richelmy, Umberto Contarello, Paola Turci, John Simenon, Donato Carrisi, Angelo Bison, Gustaf Hammarsten, Olivier Bibas, Stefan Baron, Malachi Kirby, LeVar Burton, Charlie Weber, Bellamy Young. Rising young Italian actress on the small and big screen and a singer as well, Matilda De Angelis started studying music at the age of eleven, learning to play the violin and the acoustic guitar, at was writing the lyrics and music for her first songs at just thirteen. In 2014 Matilda was discovered by filmmaker Matteo Rovere, who selected her to star in his film Italian Race. Her performance earned her the Biraghi Prize at the 2016 Silver Ribbon Awards. In 2015 she had the starring role in the Italian version of the American TV series Parenthood, Tutto può succedere. Produced by Cattleya, it will be airing on RaiUno. Matilde is currently filming Tutto può succedere 2, while shooting for the new film by Berardo Carboni, Youtopia, in which she stars alongside Donatella Finocchiaro and Alessandro Haber, has recently been completed. She hs been honored with the Flaiano Prize and the Emerging Actress of the Year Award at the Taormina Film Festival. 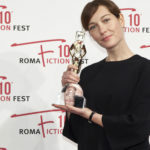 Her upcoming projects include the new film by Sebastiano Riso, Una famiglia, with co-stars Micaela Ramazzotti and Patrick Bruel.